Back in April 2014, we reported that Emmett/Furla/Oasis Films and Crystal Lake Entertainment were developing a Friday the 13th TV series. Sean Cunningham, who directed the original 1980 slasher film that started the Friday the 13th franchise, was on board to executive produce with Randall Emmett and George Furla, but we haven't heard anything about the project since then. Today, Deadline has word that the series is moving forward at The CW, with Steven Long Mitchell and Craig W. Van Sickle (The Pretender) set to write the series. The series reportedly reimagines the iconic villain Jason Voorhees with, "a stronger feel of grounded reality." The series is described as a sophisticated horror-thriller that centers on a detective who has been searching for his missing brother. His brother's disappearance is believed to tie into the re-emergence of Jason Voorhees, who was long thought to be dead but is know wreaking havoc once again in Crystal Lake. Sean Cunningham hinted earlier this year that The CW was interested in the project, with the network quietly buying it outside of the traditional pilot season cycle. The original version of the project was written by Bill Basso and Jordu Schell, which would have re-imagined Jason in several different time periods. There was previously a Friday the 13th TV series that debuted in 1987 and ran for three seasons. That show didn't feature Jason Voorhees and only borrowed the iconic franchise's title. Instead, it focus on cursed objects. Sean Cunningham is executive producing alongside writers Steven Long Mitchell, Craig W. Van Sickle, Randall Emmett, George Furla and Mark Canton. It isn't known yet if Sean Cunningham himself will direct the pilot episode. This could bring the TV series full circle from the horror movie franchise, but we'll have to wait and see who directs the first episode. Paramount is currently developing their own Friday the 13th big screen reboot, which has a May 13, 2016 release date already in place. No cast members have signed on yet for director David Bruckner's project, and it's possible this release date may be pushed, since it isn't clear when production may begin and the release date is less than a year away. 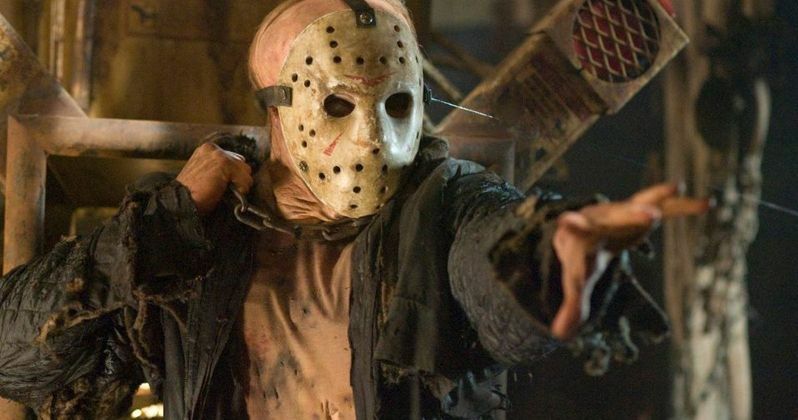 What do you think about a new Friday the 13th TV series happening?